As a practicing attorney for 30 years specializing in complex commercial real estate, I have also handled 100’s of residential transactions along the way. When our father passed away, Bill helped me and my siblings with great thoughtfulness and resourcefulness for the sale of a Condominium where we had 4 absentee, interested parties acting as Seller. Bill handled the preparation, staging and holding of a very quick, but well-attended open-house, refused to accept offers until the open-house had concluded and obtained multiple bids on favorable terms and above-asking; as well as negotiating reasonable resolutions to ancillary issues. Bill handled the entire transaction as seamlessly and professionally as any Realtor or residential transaction I have seen in my 30-year career, including follow-up as I was traveling on the actual date of Closing. Bill will be an instant referral for me going forward! We started out selling our home by owner with not much success. Even with it being marketed on the web, it didn't get the same exposure that Bill gave it. Thirty days after we hired him, we signed a purchase agreement. Bill is respectful and trustworthy to you and your property. He's easy going and a fun guy to work with. 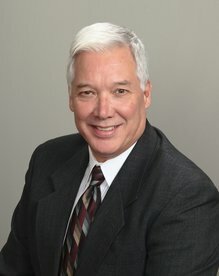 I would highly recommend Bill Harper to anyone looking for real estate help. Bill helped me with the search, offer, negotiation, and purchase of my home. He was always very timely in responses and follow up. Also very informative on the whole process. When I did have questions, he was always available with answers. Bill has exceeded my expectations in investigation and resolution of specific concerns I had regarding my home. Bill Harper has a wealth of knowledge with regard to real estate in the Chelsea Area. He keeps a watchful eye on the property values and seeks out opportunities for home sellers and buyers. I fully trust Bill to find a property that's valuable and suits my needs. I fully recommend ReMax and especially Bill Harper for all of your real estate needs. Thank you Bill for all of your help! We liked all the personal attention we received. His knowledge of the area and the market was great. It's also a big plus that he's a really nice guy. He knew the neighborhood and the people that were looking for homes for sale. He also kept in close touch with almost Dailey. He guided us through the listing, the purchase agreement, all the inspections, and the closing. He handled everything professionally. Bill was awesome to work with he sold our previous home in less than two weeks. He found our family the home we were looking for right away he does not give up on searching for the perfect house for you until you got it! I highly recommend you going with this agent he is very personable and friendly! Thanks again Bill! Agent Harper was very helpful and guided us through all of the property transfer requirements. He often met with and followed through on site with property inspectors when we could not be available. The process went very smoothly from beginning to end. I was referred by a friend to have Bill as my Relator and it was a great choice. Bill is very professional and is on top of his game when it comes to responding to phone calls and questions. He knows what he is doing and is conscious about the buyer and sellers feelings especially when moving can be hard. I would recommend Bill to anyone who is selling or buying. Bill Harper exceeded my expectations. My late brother's home was in a beautiful location but the home presented several challenges including: it needed considerable updating and; the County required that the septic system be brought up to current code. Bill worked diligently with me to overcome these challenges. He also made the house "showing" ready by removing many of the dated features and revealing the possibilities within the home. As the seller of my late brother's home I live in Washington State. Bill's constant attention to the home gave me great peace of mind and he made certain that nothing went awry during the cold winter months. The house received multiple offers and sold very quickly for a very satisfactory price. Bill made certain that everything, including the closing, went smoothly. There are no words to express the gratitude that I have for Bill. I highly recommend him to anyone considering a sale of their house! Bill helped me find my new home. After targeting my preferred area with direct mail inquiries, we found the home for me. In negotiations, we asked the sellers to do a few maintenance requests around the house. Bill followed through to insure the job was completed and by reputable contractors. I had piece of mind that I was being taken care of. Bill's knowledge of the real estate markets and processes proved extremely valuable to my wife and I. His professionalism and guidance during the process eased our anxiety and gave us confidence that we had made the right decisions. I will definitely contact Bill Harper for all my future real estate needs and I highly recommend him to anybody looking to buy or sell a home. Bill Harper is a sales professional in the true sense of the word.I have had the pleasure to work with Bill on many sales endeavors and was quite impressed with his attention to detail and offering a positive response to questions posed by his clients. It is my opinion anyone working with Bill on their real estate needs will not be disappointed. Bill is a great guy. He is very approachable and focused on customer service. Every question I had emailed him or called him about was answered quickly. He even takes a proactive approach to customer service and would call me to see if we had any questions. He also takes extra time to explain things until you feel comfortable and routinely goes above and beyond. My experience with Bill was that he is very thoughtful, knowledgeable, and resourceful. He was very helpful, going the extra mile for us. It was a true pleasure doing business with Bill. Bill is a very personable and accommodating person. He will go out of his way to make sure you are happy to have him working for you. i would recommend him anytime. My husband and I recommend Bill highly. He was fantastic assisting us in 2014 with a lakefront rental. His level of service, knowledge and professionalism are second to none. Highly recommend him. I have worked with Bill several times now and he is knowledgeable, friendly and customer service focused. I would recommend Bill Harper to anyone interested in renting or purchasing a new home or property. me to drive out that day. While he was there working on the property he showed me around, including his plans for improvements to be made. We made a handshake agreement and I sent him a deposit in a few days. Over the following months, Bill stayed in touch and was easy to contact. When we were ready to move in Bill was there to answer any and all questions and checked back in a few days to be sure everything was fine. Bill was always a step ahead. He anticipated our needs and gave perfect suggestions and solutions. I would happily work with him again anytime. On top of his professionalism he is just an easy person to be around. His cheerful demeanor and can do attitude helps to keep the stressful activity of moving from one place to another manageable. We came away feeling very positive in our experience with Bill. He was very knowledgeable and responsive to our questions and concerns. If he doesn't know the specific answer he will most definitely find out for you. We've had a working relationship with Bill for 2 years and intend to continue it.